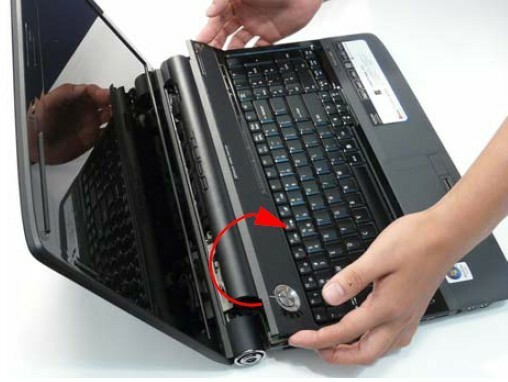 In this guide, the actual laptop is Acer Aspire 6930. Its keyboard is the same with Acer Aspire 6530 6530G 6930G keyboard. More compatible information, please refer to the keyboard description under this instruction. 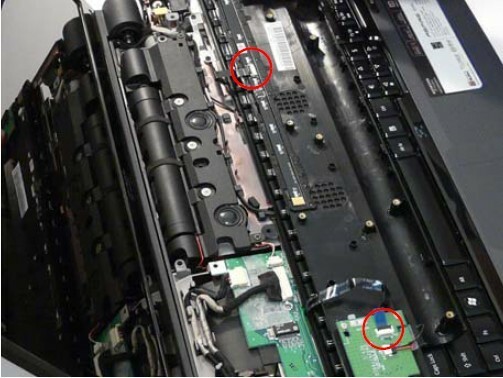 First of all, turn off your Acer Aspire 6530 6530G 6930 6930G, disconnect the power adapter and remove the battery. 1. 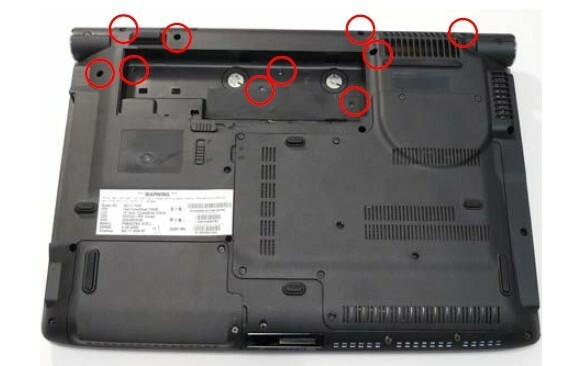 Locate and remove the ten securing screws on the bottom of the computer. 2. Turn the computer over and open the LCD module to expose the Switch Cover. Lift the Switch Cover as shown, and place over the keyboard. Notice: Do not remove at this point. FFC cables are still attached on the underside. 3. Disconnect the two FFC cables as shown. Remove the switch cover. 4. 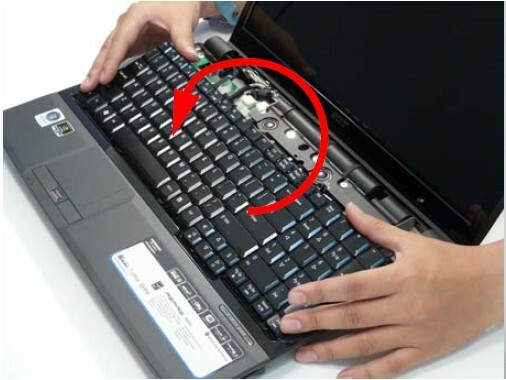 Lift and turn the Acer Aspire 6530 6530G 6930 6930G keyboard over (as shown) to expose the FFC. 5. 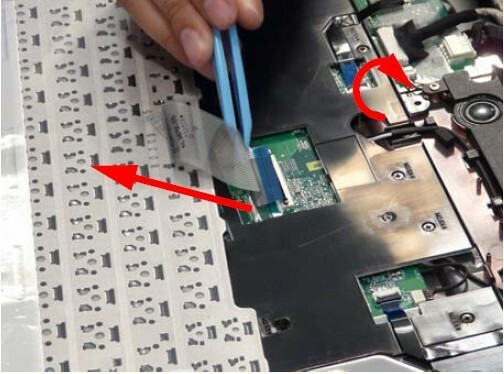 Unlock the connector and pull the FFC to remove. Remove the Acer Aspire 6530 6530G 6930 6930G keyboard from the chassis. 6. 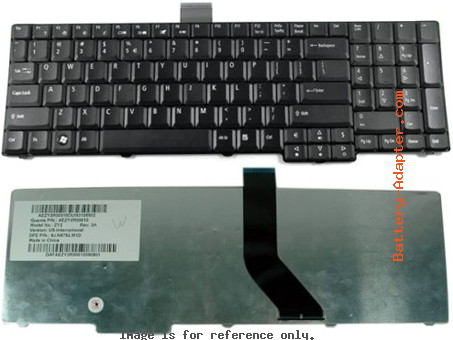 Reverse the procedure to install you new Acer Aspire 6530 6530G 6930 6930G keyboard.